The physical environment plays a major role in impacting quality of life, years of healthy life, and health disparities. The Environmental Protection Agency (EPA) monitors air pollution levels nationwide. Since 1996, the EPA has designated the most populous county in Arizona (Maricopa County) a “Serious Nonattainment Area,” meaning that air pollution levels—in this case particulate matter, such as sand and dust—regularly exceed national health thresholds.9 To protect the health of its 3.9 million residents, Maricopa County has struggled for years to keep within EPA-defined acceptable limits of air pollution generated by industry, agriculture, and dust storms.10, 11 After initial efforts to improve air quality had limited success, in 2011 the Maricopa County Air Quality Department reached out to businesses, governmental agencies, public institutions, and local communities to identify feasible strategies to address the problem. Because so many facets of daily life, industry, and agriculture can contribute to air pollution, the Air Quality Department has worked to engage public and private stakeholders across multiple sectors, including businesses; law enforcement; city, county, and state governments; restaurants; home builders; health care organizations; and media outlets. For example, the Air Quality Department works with local law enforcement agencies to patrol specific areas in response to complaints of improper off-highway vehicle activity, which generates dust and particle pollution. The program also includes an educational outreach component to inform Maricopa County residents about air pollution challenges and provide them with the tools they need to take action to improve air quality. Using dollars partially collected from air quality violations, the Air Quality Department works with multiple sectors of the Maricopa County community to reduce pollution and to participate in the Rapid Response program. The Department provides brown bags, seminars, and specific dust control training for its stakeholder organizations. Individuals participating in the training act as program champions for their industries and within their peer networks, educating their colleagues on air pollution and its health impacts, developing materials to prevent and respond to air quality incidents, and enforcing air quality statutes. Since implementing the Rapid Response Notification System, the Maricopa County Air Quality Department and partners have successfully responded to 12 of 14 human-generated dust incidents. In these 12 cases, the county was able to keep air quality levels from exceeding health-based air pollution thresholds. 1 Office of Disease Prevention and Health Promotion, U.S. Department of Health and Human Services. 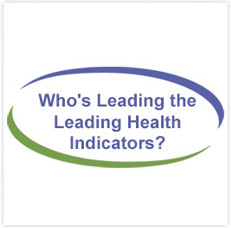 “Environmental Quality.” Available from: http://www.healthypeople.gov/2020/leading-health-indicators/2020-lhi-topics/Environmental-Quality. 2 Prüss-Üstün, A. & Corvalán, C. (2006). Preventing Disease Through Healthy Environments: Towards an Estimate of the Environmental Burden of Disease. Geneva, Switzerland: World Health Organization. Available from: http://www.who.int/quantifying_ehimpacts/publications/preventingdisease.pdf [PDF - 8.4 MB]. 3 U.S. Environmental Protection Agency. “Air Quality Trends.” Available from: http://www.epa.gov/airtrends/aqtrends.html. 6 National Institute of Environmental Health Sciences, National Institutes of Health. “Air Pollution.” Available from: http://www.niehs.nih.gov/health/topics/agents/air-pollution/. 8 Office of Smoking and Health, National Center for Chronic Disease Prevention and Health Promotion, Centers for Disease Control and Prevention. (2010). Tobacco Use: Smoking & Secondhand Smoke. CDC Vital Signs. Atlanta, GA.
9 GoodGuide. “Nonattainment Areas.” Scorecard: The Pollution Information Site. Available from: http://scorecard.goodguide.com/env-releases/def/cap_naa.html. 11 U.S. Environmental Protection Agency. “Classifications of Particulate Matter (PM-10) Nonattainment Areas.” Available from: http://www.epa.gov/airquality/greenbook/pnc.html. 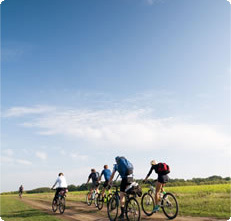 The mission of the Maricopa County Air Quality Department is to provide clean air to Maricopa County residents and visitors so they can live, work and play in a healthy environment. Disclaimer: Reference in this web site to any specific product, process, service, organization, or company does not constitute its endorsement or recommendation by U.S. Government or the U.S. Department of Health and Human Services.